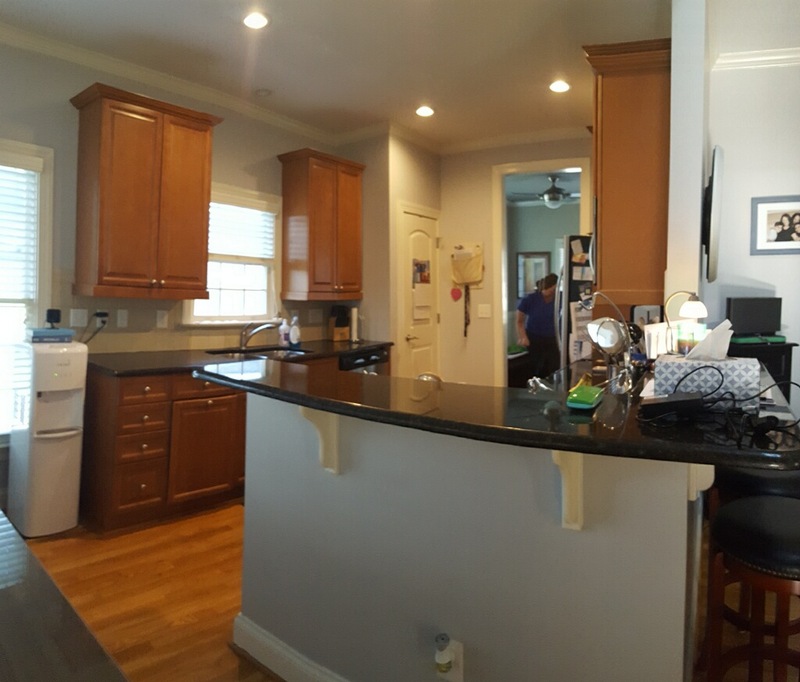 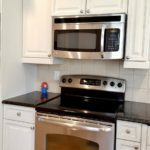 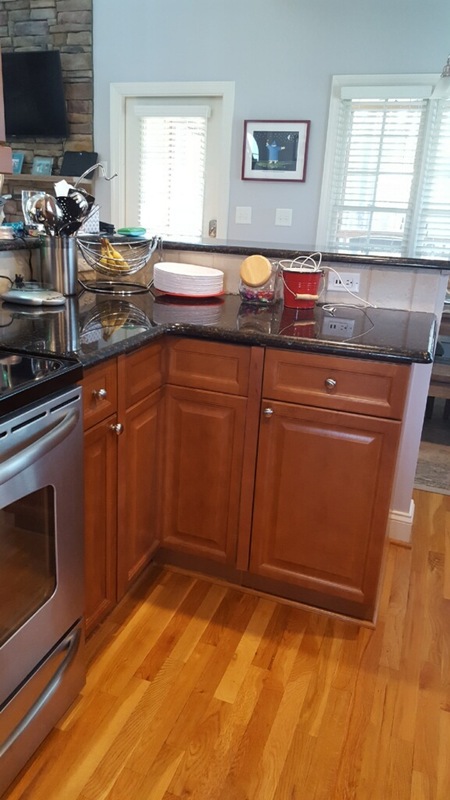 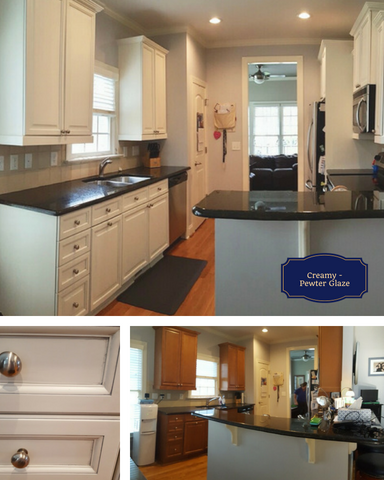 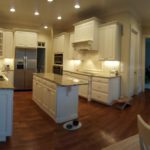 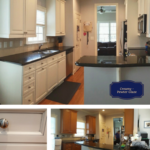 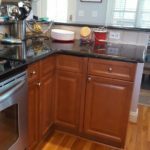 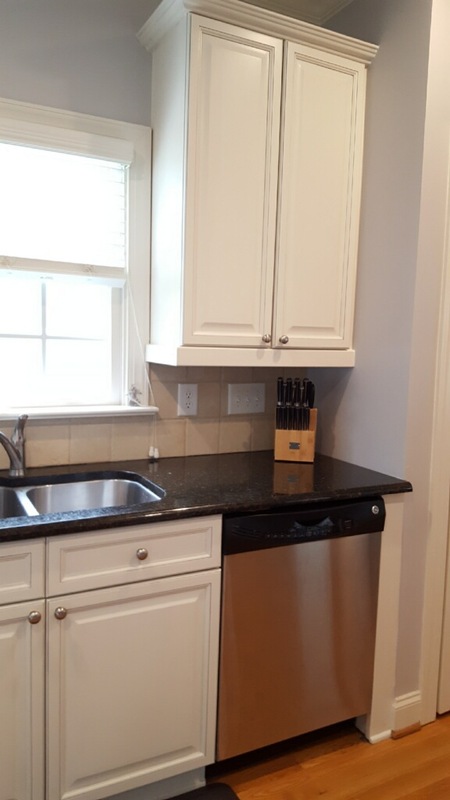 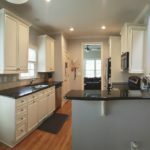 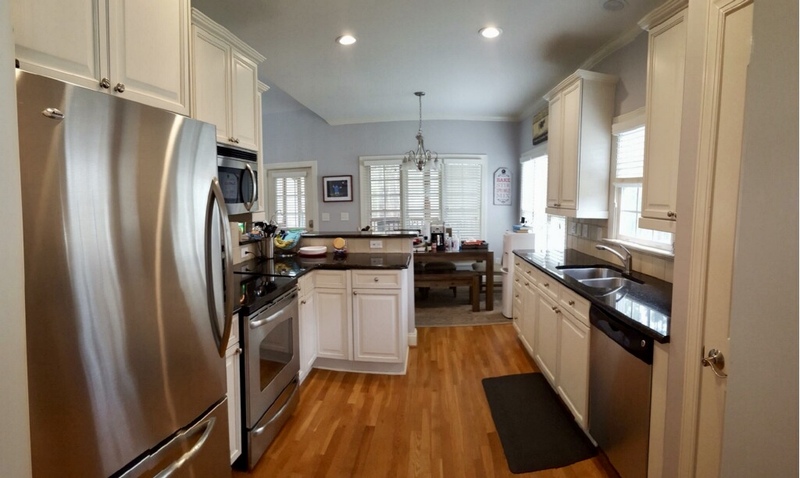 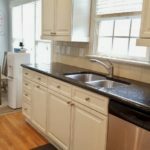 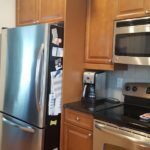 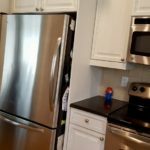 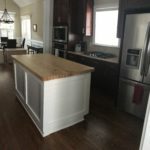 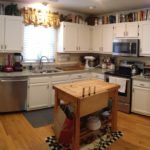 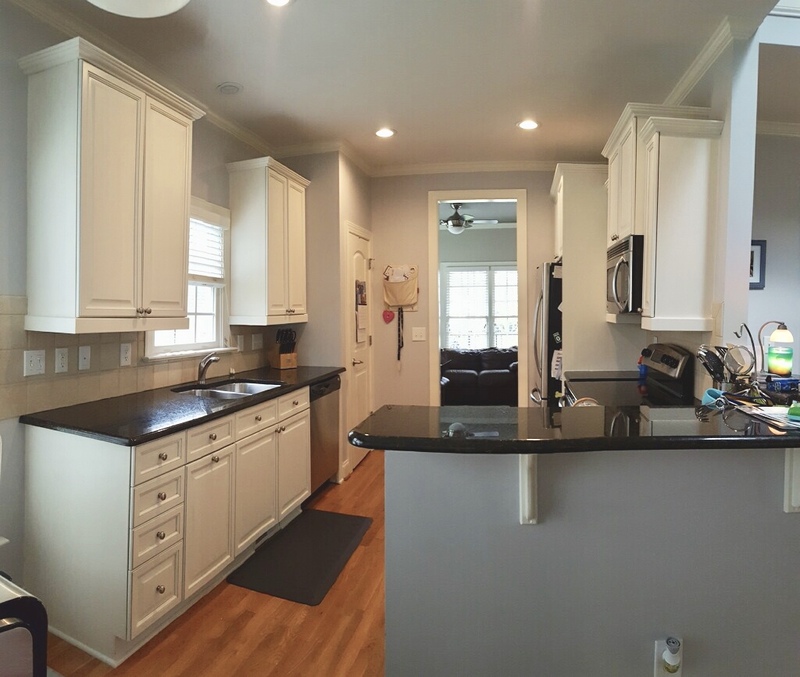 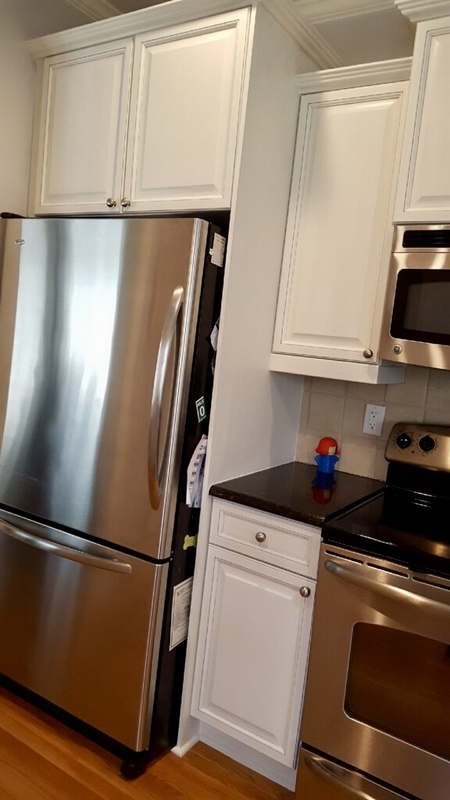 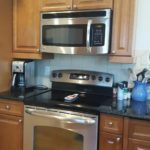 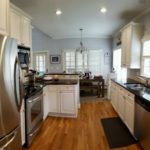 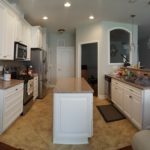 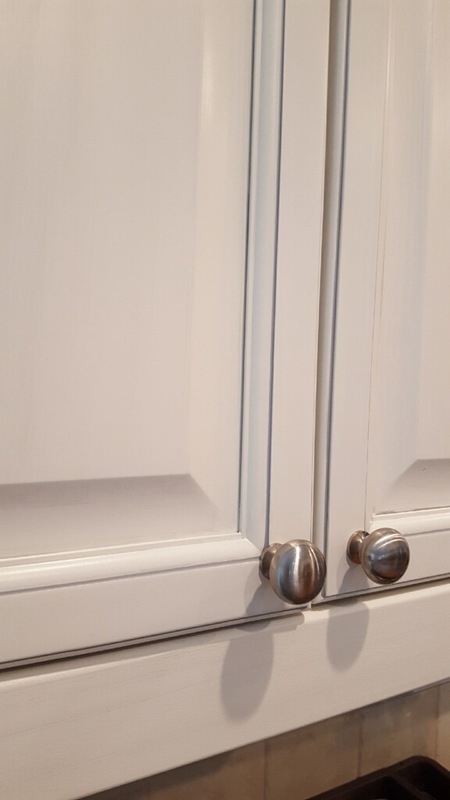 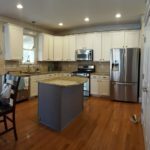 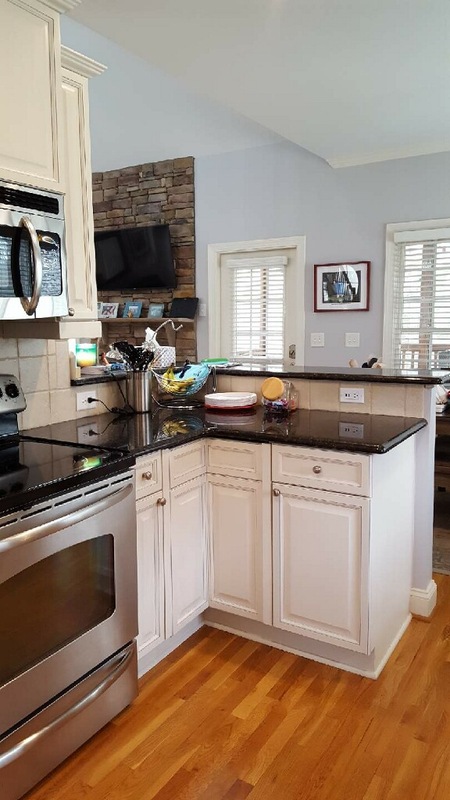 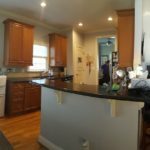 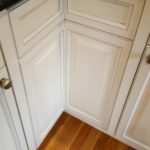 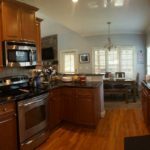 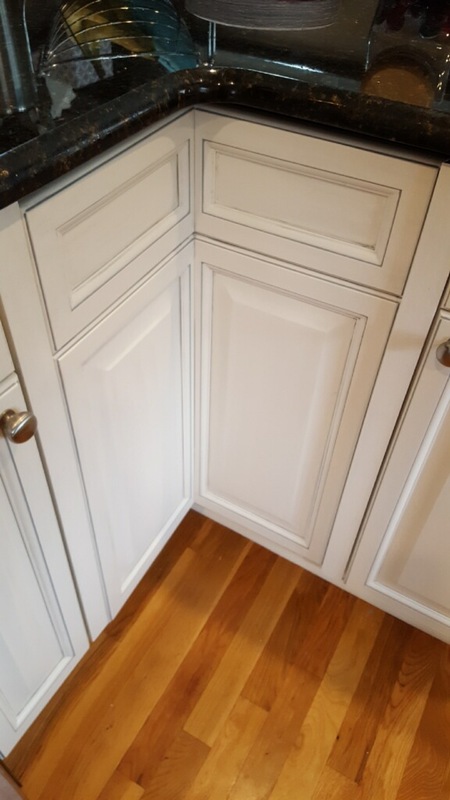 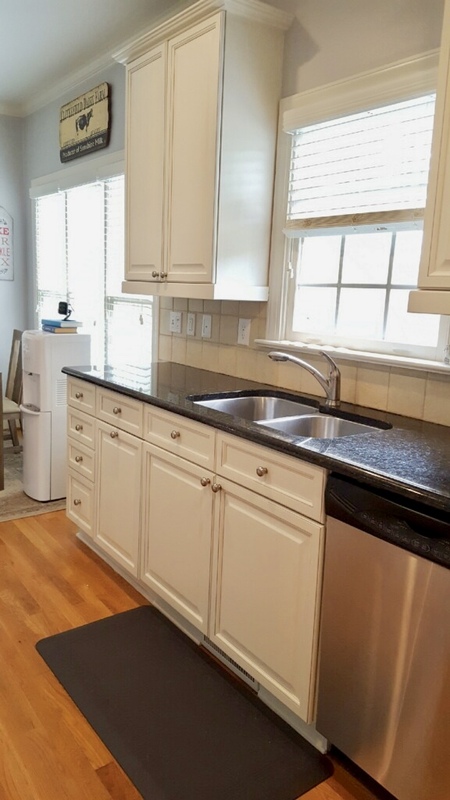 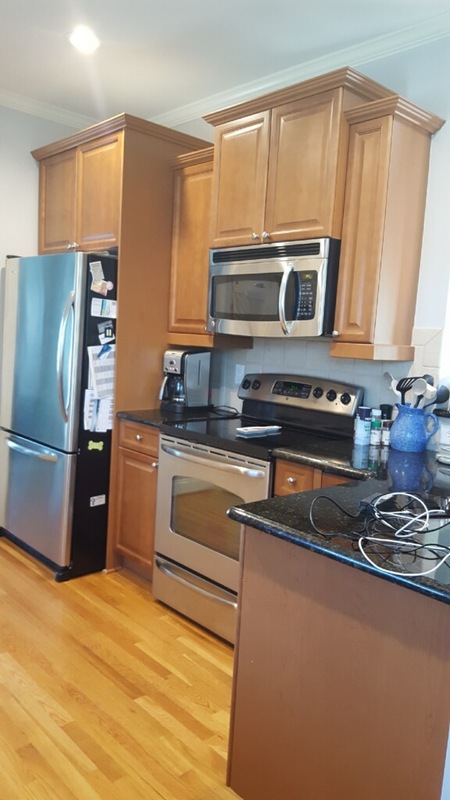 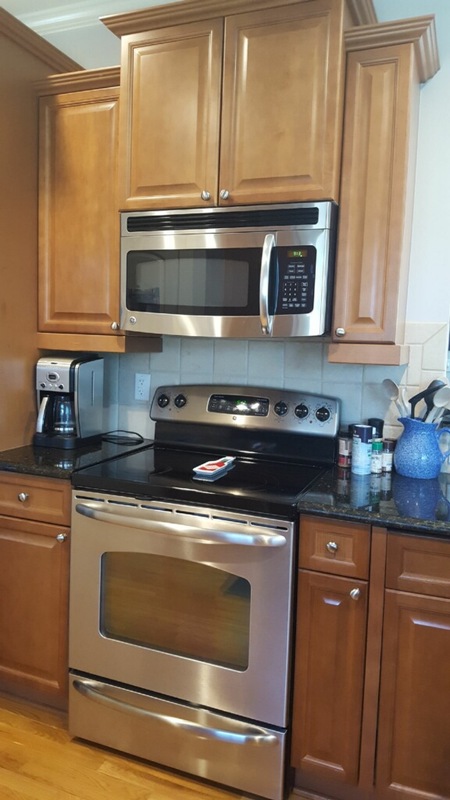 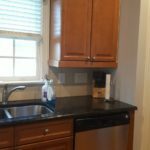 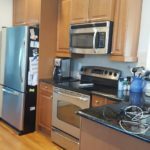 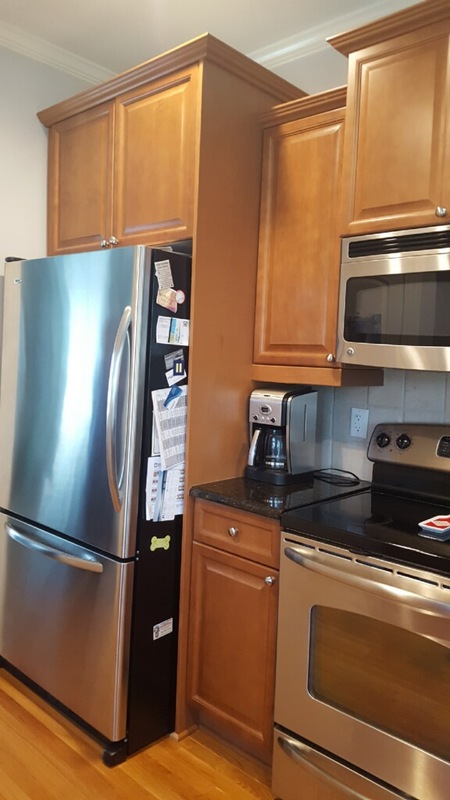 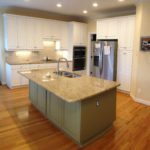 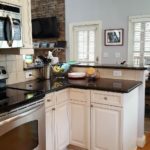 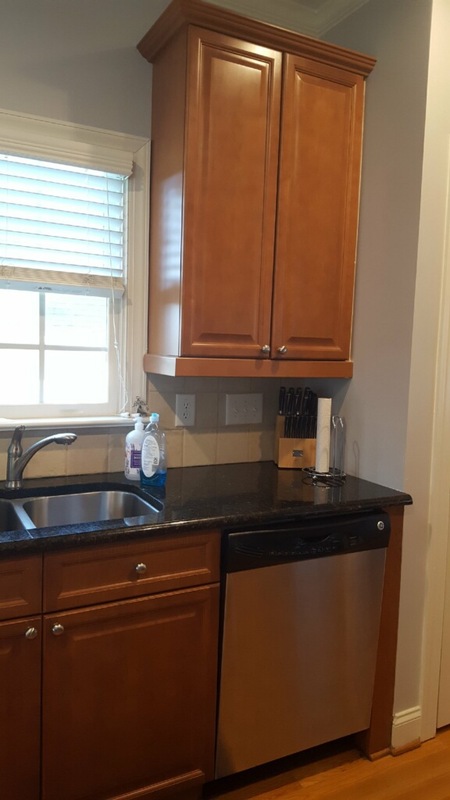 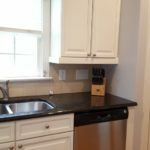 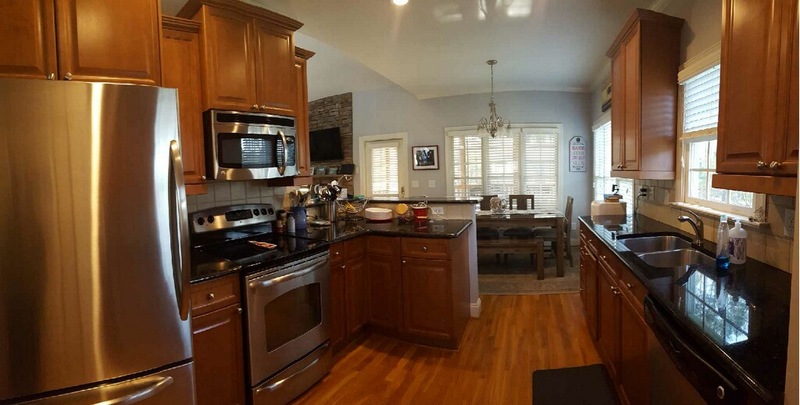 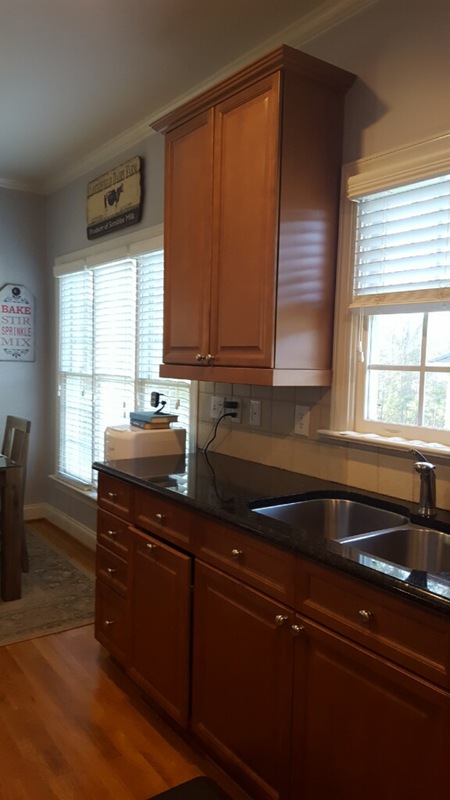 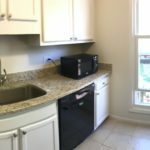 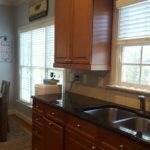 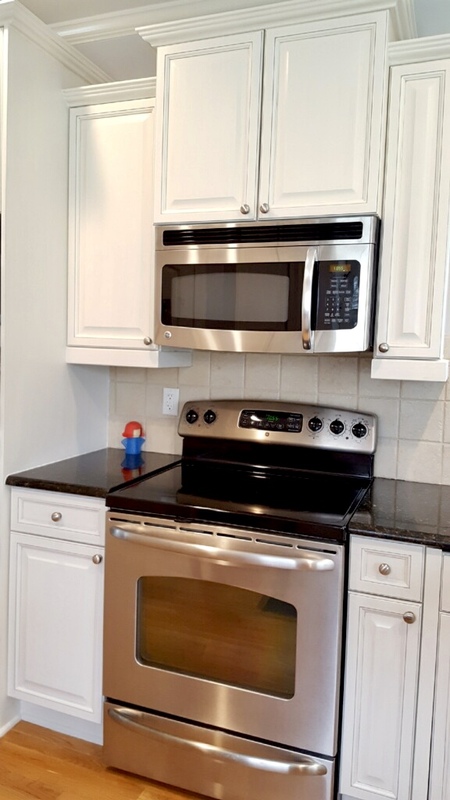 For this kitchen our homeowner chose the same paint color as their trim, but we punched it up a bit by adding a Pewter glaze over it. 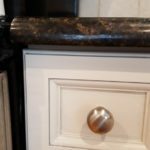 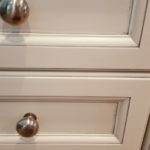 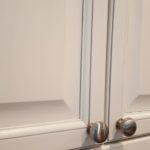 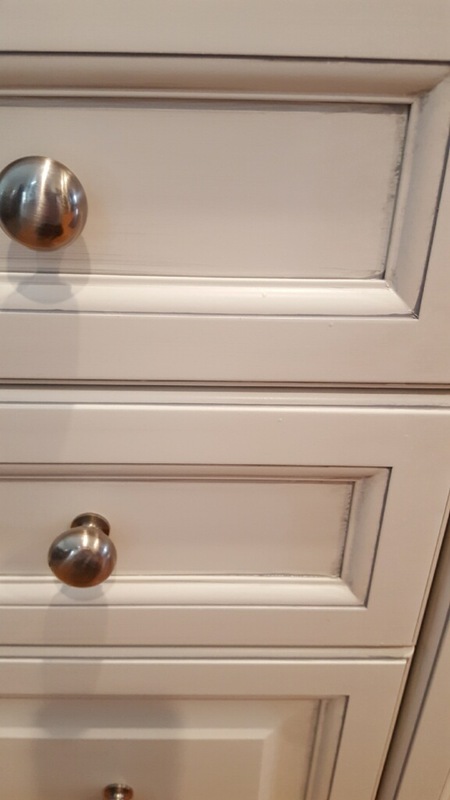 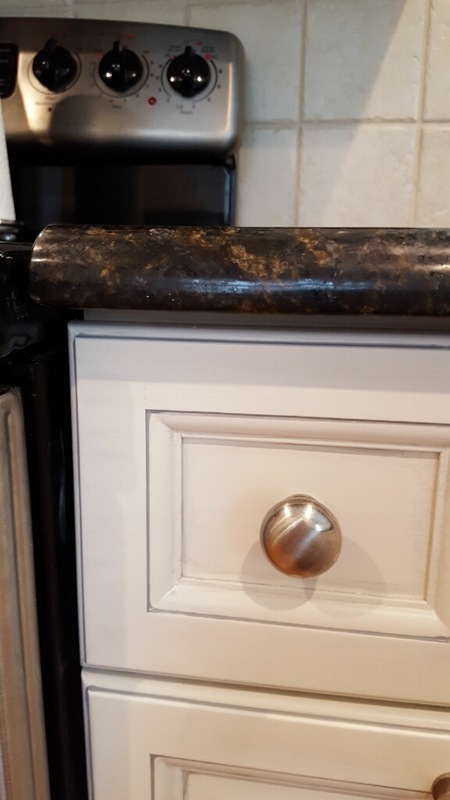 Adding glaze really helps show off the details of your doors and drawers and give them a bit more dimension. 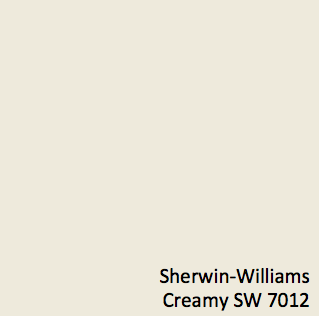 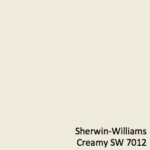 And choosing a glaze in a color similar to their walls tied the entire scheme together.